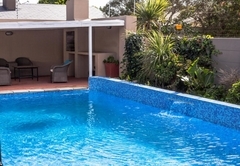 Julina's Guesthouse is one of the highly recommended Parow guest houses and provides accommodation in 9 guest rooms for tourists visiting the Northern Suburbs region. 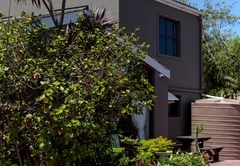 Julina’s Guest House is a unique guest house centrally located in the northern area of Parow North that can accommodate up to eight people comfortably. 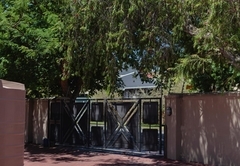 The guest house is spacious and has a friendly atmosphere with large outside areas with beautiful lawns and gardens. 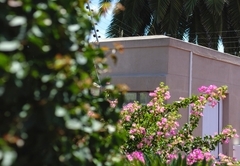 Guests can choose from our three Standard rooms with Double beds, our five Deluxe Rooms with King-size beds or our Twin Room with tow single beds. 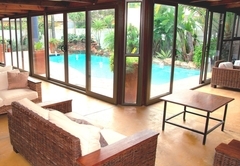 The house layout is large enough to provide space for privacy and quiet time too. Linen, towels and a cleaning service is provided. 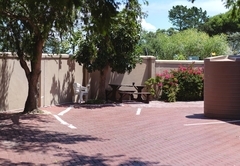 Secure, enclosed off street parking for four cars is available. Breakfast is available daily until 10:30am. Dinner is available on request. 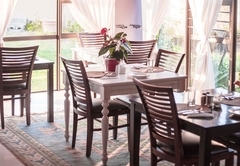 The meals one will enjoy at Julina’s are home made and as traditional as possible, to give you a true South African experience all round. 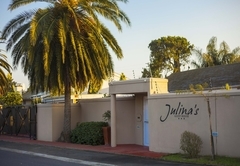 Julina’s overlooks The Parow Golf Club which is a flat parkland course. Several new bunkers & a new dam as well as manicured gardens around the clubhouse are noticeable improvements to a course that provides a real challenge. The Bells driving range is a mere 5 minutes drive away. In the vicinity you will find many restaurants as well as popular places such as the Grand West Casino, which boasts bistros, pubs, cinemas, a live jazz venue and a huge ice-skating arena, video game machines & plenty more activities available for the entertainment of both adults and children. Climbing Table Mountain or planning a township tour, a trip to Cape Point where the two oceans meet, sampling the new world wines on a Winelands tour, or merely lying on our famous Clifton beaches, you name it, there is nothing that cannot be arranged by your host Julina. The friendly host Julina has a unique social approach where she caters to every guest's needs in a tailor made and personal way, 24 hours a day. 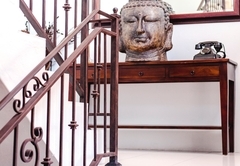 Along with the most competitive rates these add up to make Julina’s Guest House one of the best and most affordable guest houses in the world city of Cape Town. 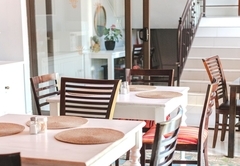 2 Single beds, En-Suite with Shower Double Bed, En-Suite with Shower, Electric Blanket, Coffee & Tea station, Bar fridge, Free Wi-Fi, Individual DSTV, Max 2 adults. My mom stayed there it was for her for 7 nights. She said it was fabulous. She was very impressed and I would promote the guesthouse anyday. Response timeJulina's Guesthouse typically responds to requests in 5-10 minutes. A cot can be provived on request.